Good writers make things real. They transport readers to places they’ve never been and help them understand experiences they’ve never experienced. A lot of people don’t know what it’s like to be poor. In trouble. Or homeless. And homeless youth feel that lack of understanding throughout their day. Writing is one way to make people understand what it’s like. Writers do this by evoking the senses—sound, sight, smell, touch and taste. These are the ways we perceive things and from reflecting on our perceptions, we come to various conclusions. If writers can make readers feel something, they can change the way they think. I ask Ziners to pick an abstraction—an idea like freedom or peace or an emotion—like sadness or anger. Things that by themselves aren’t physical. And I ask them to use similes that call upon each of the senses in order to make the abstraction a real experience. in the afternoon stretches of the day. that screams with shrieks of intestinal pains. searching for your kill to come. standing on the other side of the ring. every morsel you try to consume. In the world of consumption, hunger is poverty’s running mate. leaving you poorer, hungrier, and in worse shape than you were before. with no restraint. At will. and topped the box office. DeWayne defines hunger for us. The experience is visual, tactile and imaginative. The similes are idiosyncratic, intricate and fresh. After reading it we know what hunger is like for him specifically, but we’re also able to generalize it to the experiences other young men and women may be having in this city. Even that last line alludes to the reality that some of us, who are distant from hardship, might think about hunger only as a movie. But DeWayne closes with a reminder to keep things real. Hungry for more? Check out our Zine Store to read more from youth describing their experiences through sensational writing. 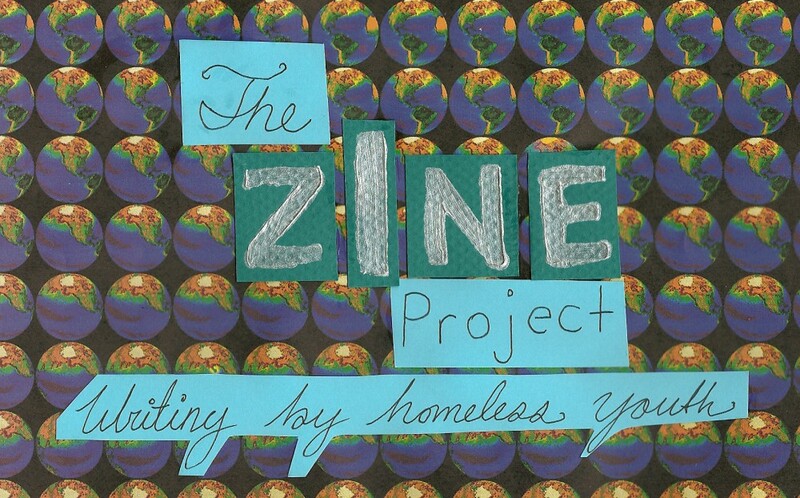 This entry was posted in Lessons, Ziners and tagged homelessness, Seattle, Youth writing by YouthCare Zine Project. Bookmark the permalink.